Cold and flu season have begun, and now is the time to strengthen the immune system. The best way to protect yourself from getting sick is to wash your hands, stay hydrated, and eat a healthy diet abundant in fruits and vegetables. If you do catch a bug there are some great foods/botanicals that can boost the immune system, fight off the symptoms, and quickly get you back on the road to recovery. 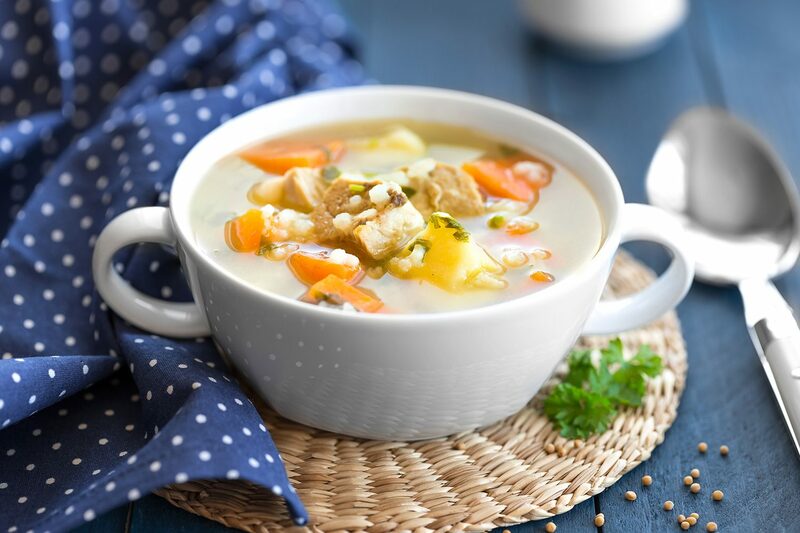 This Curry Chicken and Rice Soup recipe incorporates many of those essential foods to keep your immune system strong. Melt the butter in a large soup pot over medium-low heat. Once it starts foaming, add the onions, garlic, ginger, curry powder, carrots, mushrooms, and bell pepper. Sprinkle with salt, stir, and cover the pot, allowing the vegetables and spices to sweat. Allow to cook, undisturbed, until tender, about 10 minutes. Stir in the chicken, bone broth, and cooked rice. Bring to a boil and then simmer, covered 10 minutes.